Northeast Georgia Medical Center Braselton is a leader in environmental while capturing real savings in building operating costs. To achieve a 60 percent reduction in energy use, HGA used iterative modeling of energy and costs for both passive and active systems. Conversations—and aspirations—around high-performing buildings have evolved quickly. 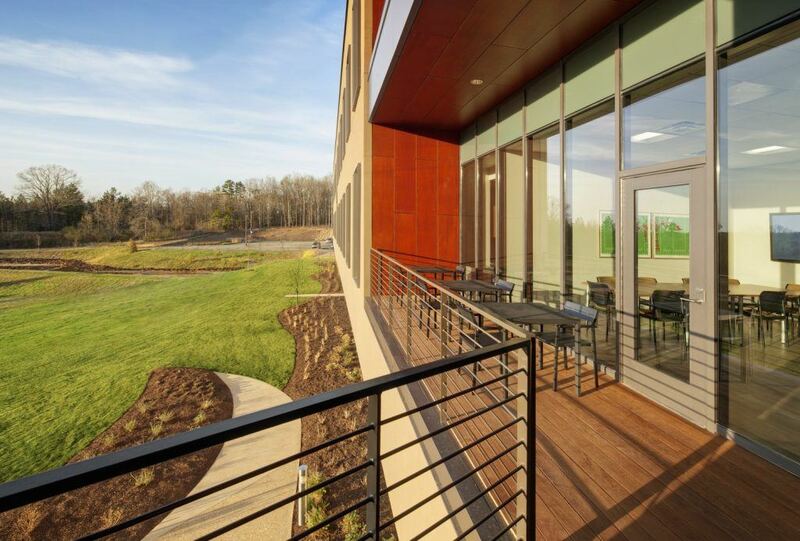 Ten years ago, we dreamed of achieving LEED certification on high energy building types such as hospitals and labs. Net zero energy buildings were a costly pipe dream, at best available to small buildings with low energy needs. In 2018, the New Buildings Institute lists 67 “verified” and 415 “emerging” zero energy (ZE) projects. It’s safe to say that net zero appears ready to take over the market much as LEED did a few short years ago. This remarkable transformation can be attributed both to advances in technology and to a growing understanding of the integrated design process. Net zero design depends on two key elements, the reduction of energy demands, and the on-site production of energy. Successful projects strive to reduce energy use to the point that on-site production is feasible and cost-effective. With widespread acceptance of technologies that were previously viewed with suspicion—the use of radiant beams in laboratory or displacement ventilation in hospitals, for example—it becomes possible to reduce energy demands to the point that on-site production becomes viable. The precipitous drop in photovoltaic panel prices completes the picture; in many cases, it can be less expensive to buy solar panels than to invest in complicated HVAC systems. Advances in technology alone do not explain this market change; the real source of change is the growing implementation of integrated design processes. Integrated design demands an expansion of the project “team.” Rather than a linear process led by the architect, high-performance project teams expect continuous and proactive engagement not only from the full design team, including engineers and other consultants, but also from the contractor, owner, and end users. For more information on the integrated design process, read the complete article in Healthcare Construction + Operations.